Two former Champaign, Illinois residents, Emily von Seele and her husband Chris are hoping to bring their Midwestern-honed hospitality to Capitol Hill in the form of Ankerhaus Pub. 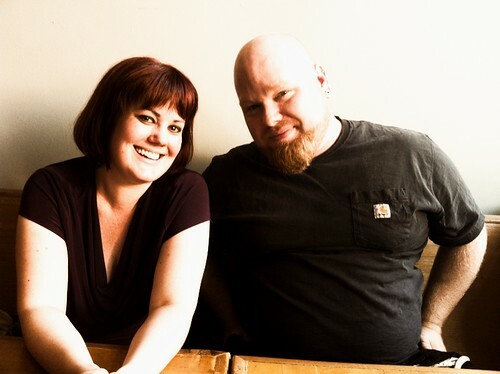 Following in the steps of Calf and Kid’s Sheri LaVigne, who found new investors for her cheese shop through a blog and Twitter account, the von Seeles are documenting their quest to open a neighborhood pub on Capitol Hill on a blog,on Facebook and Twitter. CHS caught up with the von Seeles (they have a third partner, Jayk Knight, who is based in Illinois) to check in on their progress in opening a pub on Capitol Hill. Two of the three partners have worked as bartenders.When asked what drinking spots they drew inspiration from, Chris von Seele cited The Blind Pig in Champaign for its choice beer selection and Pint in Chicago for its layout and seating. In Seattle, Chris commended Linda’s status as Capitol Hill’s living room and Stumbling Monk for having an extensive selection of good beer. The von Seeles seek to create a neighborhood pub for Hill residents in the model of CHS advertiser The Lookout and The Summit Public House. Our vision is o provide patrons with an array of beers and wines, as well as a comfortable, classy place to congregate, whether that be with a partner, a group of friends, or even for a solo outing. A place where the staff takes an active interest in everyone who walks through the door, and makes it their priority to make each customer’s experience memorable. The von Seeles stated that they hope to open the pub west of Broadway and south of Mercer. Currently, as noted on their blog, the von Seeles and their partner are looking for investors. They explained to us that they have 1/3 of the amount they estimate they will need. This was raised from friends and family in Illinois mainly. They are hoping to raise funds from Seattle investors now. too much blog, not enough cash. they rattle on in flowery prose about local this, local that, but they’re from Illinois? – open it in Illinois! Ha ha. New CHS slogan. Watch for the ‘too much blog, not enough cash’ shirts. This is exciting, I think it would be a good addition to the nieghborhood. Good luck raising the cash! Full disclosure: I miss the bars of Madison, WI. Most people are from somewhere else. There here now, that makes them local and it makes you a snob. Ugh. Unless you’re independently wealthy or a smarmy trust fund kid, raising capitol is required for a new business venture. Cash doesn’t just “appear” — fundraising, blogs, and years of dedication are prerequisites. Take your yawning to your mama, and grow some of your own insightful prose.